ALC-B55 | Gudang :: ALuGuDa! 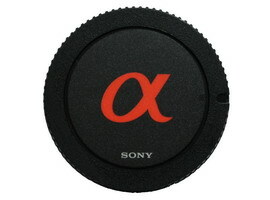 Body cap untuk kamera Sony Alpha. Original by SONY. This entry was posted in Others and tagged a100, a200, a230, a290, a300, a33, a330, a35, a350, a380, a390, a450, a500, a55, a550, a560, a580, a65, a700, a77, a850, a900, accessories, alpha, body cap, cap, slt, sony. Bookmark the permalink.